Kurt Baker-Brand New Beat. The frontman of The Leftovers has been quite busy lately as a solo artist with various EPs and cover collections, but this is his first proper full-length release of new material. There may never be a more appropriately titled opening track this year than "Hit the Ground" with its lyric "we hit the ground running" as that's exactly what Baker does here with some high-energy power pop. "Don't Go Falling in Love" is another winner, which boasts some clever lyrics about a Halloween party (how timely) and an infectious chorus. Although for the most part the tempos are fast and the guitars rocking, Baker also shows off some skill with the slower tunes, such as "She's Not Sorry". But mostly this is old-school power pop done quite well. Willow-Charcoal and Blue. 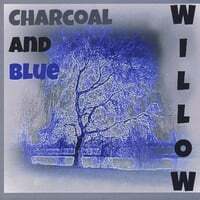 Willow is the latest project from our old friend Mike Barnett, whom we've featured as a solo artist and part of Barnett/Gurley. 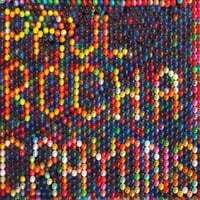 If you liked his earlier releases, you'll love this one as it provides a steady dose of jangle. This time around, he's joined by Jerry & Denise Risner, the latter of whom provides some outstanding backing vocals on Wilbury-esque tracks like "Holiday" and "Good Love is Hard to Find". We also get two versions of the fine "Counting on You", one with Barnett on lead vocals and the other with Denise Risner. Once again, Barnett proves the master of low-key, front-porch-0style jangly pop, whatever his band name. The World Record-Freeway Special. Andy Creighton & Co. haven't been heard from since 2006's Guitars Forever, but they make up for lost time by releasing what would be called in old days a double album. There are 18 tracks here, and you get 5 bonus ones if you go the old-fashioned route of vinyl and they do a fine job of keeping the quality up with the quantity. The dominant motif here is midtempo power pop, in the vein of Big Star or Teenage Fanclub, which might come as a bit of surprise to those who remember the boisterous "Were #1" from Guitars Forever (and which reappears here in a remixed form). And while "Cats on the Roof", "Call the Doctor" and "She's Not a Liar" rock out to some degree, the best tracks find them in straight pop territory such as "Marsha (Think it Over)" and "I Met the Girl (I'm Gonna Leave You For)" while the laid-back "Candy" and "Be Nice" are also rewarding. It's great to have these guys back. 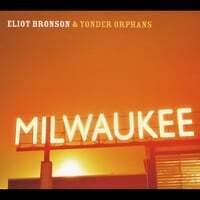 Eliot Bronson & Yonder Orphans-Milwaukee. When we last left Eliot Bronson (formerly of The Brilliant Inventions), he released 2011's Blackbirds, in which he leaned more to the folk side of folk-pop. This time around he's added a backup band and cranked things up a bit, displaying more of a heartland rock sound not unlike Ryan Adams and Paul Westerberg. This becomes apparent on the driving "One Mississippi", a rocker you could easily hear Adams or Tom Petty doing. 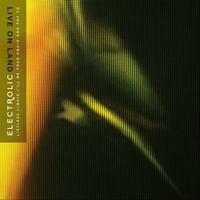 "Waiting on a Sign", "Emily" and "It Don't Get Easier" also follow in this vein and the latter especially is a treat. Elsewhere, "Down to Me" is top-drawer Popicana, and "Longshot" and the title track are the kind of the folky-pop gems that drew us to him in the first place.